The Links at Santa Rita Springs is an intimate 55+ community in Green Valley, Arizona. This close-knit community offers resale single-family homes that offer one-level living, ideal for today's active adult homebuyer. As a part of Green Valley Recreation (GVR), homeowners have access to 13 recreation centers with countless indoor and outdoor amenities. Year-round activities and clubs meet throughout Green Valley. In addition, The Links hosts community events that makes it easy to meet fellow active adults who enjoy the same hobbies. As a member of Green Valley Recreation, residents in The Links at Santa Rita Springs enjoy the amenities of a world-class resort. Within a few miles from home, there are 13 recreation centers that include amenities such as fitness centers, ballrooms, hobby and craft areas, aerobics and dance studios, woodworking shops, and multi-purpose meeting rooms. Outside, the grounds of Green Valley are an active adult playground adorned with 13 swimming pools, fishing lakes, miles of walking and biking trails and tennis, pickleball, bocce ball, shuffleboard and basketball courts. The Links at Santa Rita Springs encompasses 94 single-family residences built by Dorn Homes between 1998 and 2002. Many of the homes include popular open floor plan designs and quality finishes. All homes in The Links at Santa Rita Springs are single-family ranch models that range in size from 1,500 to 2,500 square feet. Most residences offer two to three bedrooms, two bathrooms, an attached garage, and private yard. A handful of homes have been built with private pools as well. Homeowners pay an association fee that maintains the common areas and landscaping, as well as trash removal. There is an additional GVR fee that provides access to all of the many amenities, activities, and classes. Within the gates of The Links at Santa Rita Springs, the social committee hosts a monthly theme party, called Link-Up, where residents can get to know neighbors. Residents plan trips to outside of The Links neighborhood to area restaurants for a monthly Ladies Luncheon. The Links at Santa Rita Springs in Green Valley, Arizona is surrounded by the Torres Blancas Golf Course. Residents enjoy living in quiet setting just minutes from recreation centers, golf courses, and shopping areas. Situated just east of I-19 and south of I-10, The Links at Santa Rita Springs is a 36-minute drive to Tucson. 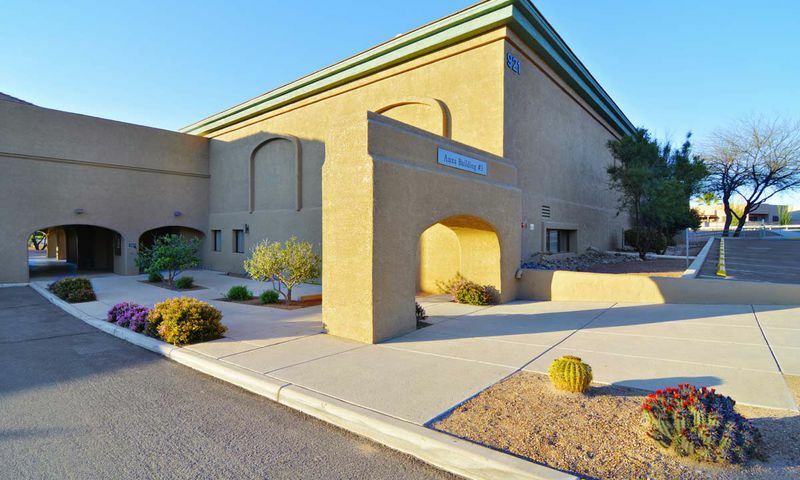 Its convenient location to major roadways makes it easy to access Tucson International Airport, just 26 miles away. With shopping opportunities at The Marketplace on Calle De Las Tiendas, Contenental Shopping Plaza, and Green Valley Village mall all within ten minutes, it s easy to see why The Links at Santa Rita Springs is a popular community. There are plenty of activities available in The Links at Santa Rita Springs. Here is a sample of some of the clubs, activities and classes offered here. Built by Dorn Homes, many of the residences in The Links at Santa Rita Springs include popular open floor plan designs and quality finishes. All homes in The Links at Santa Rita Springs are single-family ranch models that range in size from 1,500 to 2,500 square feet. Most residences offer two to three bedrooms, two bathrooms, an attached garage, and private yard. A handful of homes have been built with private pools as well. The Links is a very nice small community. If you want privacy but still want amenities it is perfect. I haven't even had a chance to visit all the Green Valley clubhouses yet, most are a little north of my community along 19 but I typically drive that way anyway to visit my grandkids so everything is very convenient. The mountain views here are spectacular too! 55places.com is not affiliated with the developer(s) or homeowners association of The Links at Santa Rita Springs. The information you submit is distributed to a 55places.com Partner Agent, who is a licensed real estate agent. The information regarding The Links at Santa Rita Springs has not been verified or approved by the developer or homeowners association. Please verify all information prior to purchasing. 55places.com is not responsible for any errors regarding the information displayed on this website.